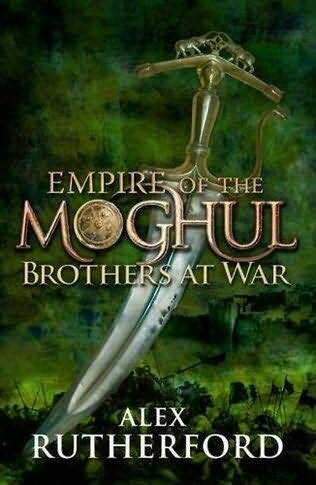 Book 3 of "Empire of the Moghul"
1530, Emperor Humayun's father, Babur, has bequeathed him wealth, glory and an extensive empire. He must now build on the legacy to match the greatness of their forebear, Tamburlaine. But Humayun's half-brothers are already plotting against him, doubting he has the strength, the will and the brutality to succeed. The Emperor faces a terrible battle: not only for his crown, not only for his life, but for the very existence of the Empire itself. FL Speak - Book 2 of 'Empire of the Moghul' stays true to its title. The brothers of Humayun are at war. Against each other. At a time when they should have united to bring the newly founded kingdom into stability, the rivalry between the brothers brought the decline of the Empire in India. After the death of Babur, his eldest son, Humayun is proclaimed ruler of Hindustan. But Humayun's half brothers are not please, specially Kamran who believes he's better than Humayun. Within a year of Babur's death, they plot to kill Humayun. Fortunately, Humayun gets wind of the plot and sends his brothers to govern different provinces in the hope that his mercy will change their hearts. When Sher Khan proclaimed himself Emperor of Hindustan and vowed to vanquish the Mughals, Humayun, being young and daring took his army to battle. But cunningness by the enemy proved to be Humayun's downfall and he was forced to accede Agra and later Lahore as his armies were driven out. This was the vulnerability that Kamran was waiting for. As soon as Lahore was conceded, Kamran made his way to Kabul and proclaimed himself Emperor. But the worse came when his treacherous half brother kidnapped Humayun's child, Akbar as hostage for safety. Maybe that was the moment when the bonds between the four brothers were forever broken, never to mend, never to heal. Humayun took his army to Persia where he was provided with more troops by its ruler for a fresh charge to capture Kabul and conquer India once again. Years later, Humayun finally realized his dream of conquering Hindustan once again. But it was fought in blood and the sacrifices too great. Brothers at War reveals much of Humayun's life that was not widely known. I didn't know his love for opium made him an addict once upon a time but he survived the addiction to be the ruler his blood-right required. His relationship with his aunt, who took the role of Babur's grandmother deteriorated with his addiction and finally his love for his only wife Hamida, whom he married when she was only fourteen only kept growing with time. Humayun kept forgiving his brothers every time they planned to overthrow him and that made him weak in their eyes. However he stuck to the promise that he gave his father on his death bed about never to hurt his half-brothers no matter how much they deserved it. Alex Rutherford once again has written a tale worth reliving which is full of political intrigue and wars. Bravery in the face of the highest fear and a strong sense of duty instilled by their forefathers made this tale of Humayun a pleasurable read. It will be an immense pleasure to read Book 3, which will herald the reign of Akbar, possibly the most well known Emperor of the Mughals.